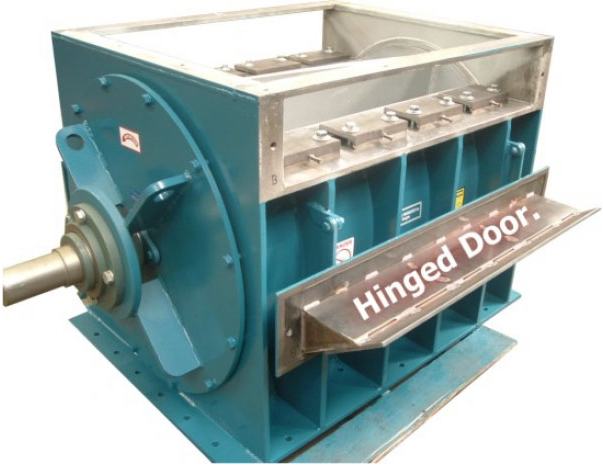 Feeders handle abrasive materials and in time will wear until your clearances are excessive. All brands of feeders can be evaluated and repaired to original manufactures specifications. Our field technicians will inspect your feeder in place when the system it is in is not operating. A cursory view of the condition of the feeder can be made in the field as clearances and obvious wear conditions can be determined. Our large selection of rebuilt and new feeders can be loaned to the mill while a more in-depth inspection is performed in our shops. Feeders are completely disassembled and inspected for wear and/or mechanical failure. A thorough inspection report is sent to the customer for review and approval to rebuild the feeder. Once the feeder has been repaired/rebuilt, we offer a one (1) year warranty on workmanship. Some feeders have been rebuilt many times and are not candidates for rebuilding. Our rebuilt and new feeder inventory allows us to offer the best delivery in the country.